A Revolutionary Advanced LED Facial Rejuvenation in Brisbane: Our skin has the ability to absorb infrared light and use it as a source of energy to stimulate cellular regeneration. 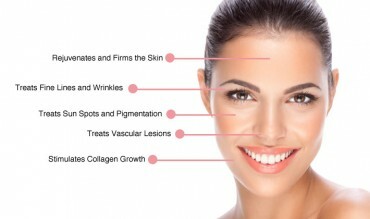 LED Skin Treatment, first researched by NASA for use in the U.S. Space Program, can reverse and control the visible signs of aging and help you look years younger without harsh chemical treatments or invasive surgical procedures. Dramatic tightening of skin, smoothing of wrinkles and rough spots, disappearing blemishes, softening of redness, and shrinking of pore size can be achieved with this LED Skin Treatment Facials in Brisbane. 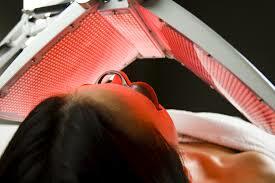 LED Skin Treatment Facials are widely accepted by people as an effective Acne Treatment in Brisbane. The infrared light produced by LED lamps, does photo rejuvenation, stimulates fibroblast cell activity in the skin, which increases the production of collagen and elastin – the proteins responsible for our skin’s tone and elasticity. The effects of infrared LED Light Photo Rejuvenation in Brisbane on the skin and body have been reported in over 2000 scientific reports and documents. See research reports and media comments. LED Light Photo Rejuvenation is an innovative method of skin treatment that makes use of lasers, intense pulsed light, or photodynamic therapy to treat skin conditions and remove effects of ageing such as wrinkles, spots, and textures. Our dermatology experts combine various kinds of lights and intensities to give you the required waves for your LED Light Photo Rejuvenation for the perfect, smoothest skin. What can I expect from a LED Light Therapy treatment? Depending on your skin type and concerns, your trained Aesthetic professional, who understands the importance of effective Light Therapy, will customize your rejuvenation treatment by matching the appropriate wavelengths to target your skin concerns for maximum improvement. LED Skin Treatment Facials in Brisbane utilize either red/infrared light, blue light, yellow light, green light or a combination of various light therapy to reduce pores size, improves skin texture and tone, treat mild to moderate acne, improve the appearance of fine lines/wrinkles, speed healing, improve sun-damage, and to give a vibrant, healthier-looking skin. LED Facial Rejuvenation in Brisbane helps to improve tired, aging skin: softening of lines, folds and wrinkles, healthier circulation, increased moisture and radiance, accelerated skin repair, toned and youthful skin surface, improved elasticity and skin texture. Hyper-pigmentation age spots, freckles, uneven pigmentation due to sun exposure, etc: Most cases of skin hyperpigmentation even out over time from the use of infrared LED Skin Treatment Facials in Brisbane. Does LED light treatments hurt? Are there any adverse effects? Application of LED light feels comfortable and relaxing. It is gentle, painless, safe, non-invasive and nonabrasive. There is no “down time” after treatment. It is safe for any age, colour, and skin type, and can be used on any area of the body (face, neck, chest, arms, hands, legs, etc). Those with very sensitive skin or rosacea should go slowly at first to make sure this powerful treatment does not cause a flare-up. See more information on sensitive skin. Depending on the light you are using and treatment time, noticeable changes are typically seen within 30-45 days; and the skin continues to improve as long as you continue to use the light. Some people see results with our DPL System™ after just a few days of use! However, each person responds at different speeds depending on their physical condition, age, skin condition, diet, alcohol consumption, smoking habits, etc. Led Skin Treatment Facials that are offered by us In Brisbane are widely known and relied upon by women of all ages, skin tones and skin types. These treatments are safe, effective and painless for a gentle and harmless skin treatment experience.